This day course is ideal for complete beginners, so no previous experience necessary. A fun and relaxing day with plenty of time to experiment and be creative. Looking at how to plan a design, then the basic techniques of rolling and shaping the clay, and discover how to fire your finished pieces at home in your own kitchen. 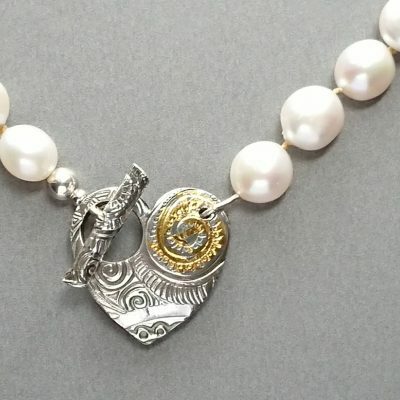 We will also cover finishing and polishing, and by the end of the day you will have designed and created at least three pieces of jewellery which will be ready to wear home! 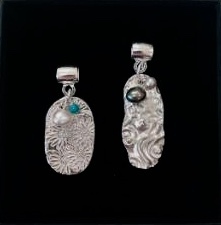 You will also feel confident to continue working with silver clay on your own at home. Cost: £100 includes all materials, use of tools and equipment and a super home cooked lunch.